On April 19 the World Socialist Web Site published another attack on us, in fact the second in a week. This one was penned by the leader of the organization, David North. Titled ‘A Comment on Demoralized Opportunists’ , it was North’s reaction to a panel discussion we organized on the occasion of the official launch of our book, ‘OXI: Greece at the Crossroads’. Before commenting on the substance of this piece, a word about its style. 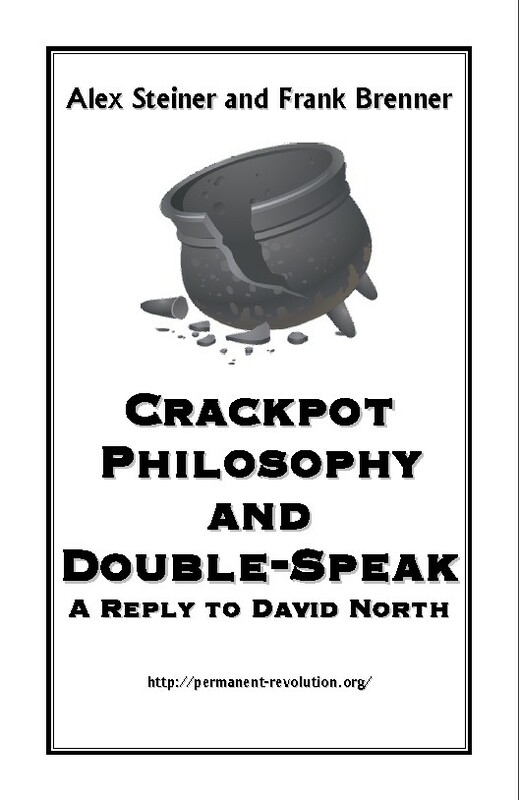 North's idea of a polemic is to combine deliberate misrepresentations of the positions taken by his political opponents with character assassination. I will get to the misrepresentations shortly, but first a few examples of North’s ascribing of motives and character flaws to his opponents. The title of his piece asserts that we are “Demoralized Opportunists”! He starts his piece by referring to our web site as “Anti-Trotskyist”. Also according to North, we “share a hatred of the International Committee.” He says of Savas Michael-Matsas, the leader of the Greek EEK and one of the speakers (via Skype) at our panel discussion, that he “…lapped up this political nonsense, not only out of stupidity, but also … opportunism.” North’s document is peppered with such name-calling which passes for political commentary. Our “irrationalism” and “hatred” of the International Committee is a recurring theme of WSWS commentary about us. The underlying implication is that it isn't possible to criticize the theory and practice of North and his followers unless one is literally crazy! This is not how Marxists deal with criticism but it is typical of how cults operate. A further point: the journalistic standards of North’s piece can be gauged by the fact that in an article full of quotes that he takes out of context, there is not a single reference (to say nothing of a link) to the original source! Let us move on to North’s misrepresentations. This was written in March 2015, in those “crucial six months” during which North claims we were going around singing the praises of Syriza and thereby contributing to the demoralization of the Greek working class. In other words, we made it quite clear that we did not endorse the politics he was articulating but we also thought he made an incisive observation about the role of sectarian groups such as North’s toward the Greek election. “Now when we speak of opportunists, it is important to distinguish between the different types of opportunists. First there is the careerist and professional politician and those groups on the left who lead a parasitical existence off the trade unions and their bureaucratic apparatus. These are the opportunists by virtue of their class position and psychology. But opportunism can also be expressed by layers of the working class coming into struggle as a result of their political immaturity and their theoretical confusion. What struck me about the person whom we quoted was that this was precisely the kind of person who probably voted for Syriza in the election expressing both the determination of the working class to fight against austerity and certain illusions in Syriza and parliamentary politics. I do not know the identity of the person we quoted, but he did not sound at all like a professional bureaucrat but was probably a worker or student who was active in the movement that brought Syriza to power. And that is exactly the kind of person the revolutionary movement must win to its banner if it is ever to hope to be anything more than a Cassandra, isolated from the masses, prophesying doom and destruction. I think it is telling that all North sees in those remarks is a “Greek opportunist” in no way distinguishable from the careerists and bureaucrats who have misled the working class. It says everything you need to know about the contemptuous attitude North and the group he represents has toward the working class and clarifies why after 30 years since the split with Healy they have built nothing in Greece or anywhere else. In its defense of Tsipras’ government, Steiner and Brenner went so far as to object to the WSWS characterization of Syriza as a bourgeois party. There are two fabrications contained in this brief statement. The first is that we defended the Tsipras government. We already responded to that allegation. The second distortion is that we objected to the characterization of Syriza as a bourgeois party. To make his case North rips a quote from one of our essays out of context. What we actually objected to is the conceit of sectarians like North who think that calling Syrza a bourgeois party provides a sufficient understanding of the actual dynamics of this formation. “Marxists use a category like “bourgeois party” to understand political reality more deeply, but in the hands of a sectarian such a category becomes devoid of content, and little more than a form of name-calling. Thus we are told by the WSWS that in “its origin, social composition and politics, Syriza is a bourgeois party” comparable to Barack Obama and the Democrats. In fact, the core of Syriza comes from the Eurocommunists who split from the pro-Soviet wing of the Communist Party in the late 1980s. Stalinist parties are not revolutionary parties, but Trotskyists have never simply labeled them bourgeois because this distorts their origin and the specific nature of their relationship to the working class. North only quotes the first sentence of this section and drops the rest. It is taken out of an essay by Frank Brenner, Experience in Scare Quotes: Sectarianism and the Greek Election. Not only does North distort what we are saying by ripping this quote out of its context, he does not even bother to provide a reference to the original article. If we go back to the EEK’s election statement written prior to Syriza’s victory in the election of Jan 25 2015, parts of which we have previously quoted, it should be clear that North’s claim that Savas “painted the Syriza regime in bright colors” is a complete fabrication. As to Savas having “denounced the ICFI’s warnings”, I can’t find any reference at all to the ICFI in any of Savas’s essays or the EEK’s statements from this period. This is just North trying to make himself look important. I doubt that Savas gave the ICFI a passing thought. “According to the report, Michael “likened that betrayal to the historical betrayal of the Greek partisans in 1944 by the agreement drawn up by Stalin, Churchill and Roosevelt and the later even worse betrayal by the Greek Stalinists when they forced the fighters in the civil war to surrender their arms to the British in 1945.
this is a case of knocking down a straw man, since this isn't Savas's position at all. The only sophistry here is North’s because he didn't bother to listen to Savas’s remarks. As to Savas's characterization of the actions of the Tsipras government following the referendum of the July 5, I see no inconsistency in calling it a betrayal but not a defeat. Savas’s comparison of the two events was meant to show the degree to which the trust of the masses in their leadership was misplaced. But the consequences of these betrayals were very different, a point emphasized by Savas. The betrayal of 1945 resulted in the physical and political disarming of the partisans who suffered a devastating defeat for at least a generation. The consequences of the betrayal of 2015 were a state of confusion and anger, and yes, for a time, a certain demoralization set in. But as Savas pointed out in his talk, once the impact of the Third Memorandum agreement began to be felt following the re-election of the Syriza government in September, the working class showed by their actions that it had not been defeated. Resistance to the austerity measures continues to grow. North’s attack on Savas is a good example of what he elsewhere calls an “inaccurate historical comparison”. It is true that Healy took the position that the fighting capacity of the working class remained intact after they suffered a real and bitter defeat. This was particularly evident in the aftermath of the British miners strike of 1984-5. Healy had invested much political capital in extolling the strength and fighting capacity of the miners union with whose leadership he had developed an opportunist relationship. When that strike was defeated after a bitter year-long struggle, it did indeed cement the hold of Thatcherite neo-liberalism. But Healy refused to recognize this change in the political balance of forces and continued to maintain that the miners, and the British working class as a whole, had not been defeated and their fighting capacity was intact, even though the opposite was evident to any informed observer. But what does this have to do with Savas's statement that the Greek working class has been betrayed but not defeated? Is North claiming that the aftermath of the British miners strike is the same as the aftermath of Tsipras’s betrayal of the referendum of 2015? Can we just apply the same formula of the UK in 1985 to the very different circumstances of Greece in 2015 without doing any investigation of the concrete circumstances of each historical event? An historical analysis of class relations in Greece in the post-referendum period is required here, not just the repetition of formulas. North's remarks give no evidence of any such assessment. On balance I agree with Savas that the Greek working class, though shamefully betrayed by Tsipras and though temporarily shocked by this betrayal, remains undefeated and is showing that it is able and willing to fight back. Rushing to label an experience of the working class a defeat can be just as misguided as ignoring a defeat when it happens. Sectarians have a strong predilection for doing the former. As soon as Tsipras's government caved in to the EU after the referendum, North's website was calling this “a serious defeat,” not just a betrayal, and for good measure insisted that this “defeat” was “a major strategic experience of the international working class.” For a sectarian, defeats (real or imagined) are always “major strategic” experiences because they provide the sectarian with an 'I told you so' moment. But when it comes to the STRUGGLES of the masses in resisting austerity, particularly their heroic defiance of EU blackmail in the referendum, the sectarian has nothing but “contempt” when reacting to such experiences. "In more personal terms, as long as no harm comes to Michael, the betrayals of the working class do not amount to a “defeat.” A mere betrayal means that living standards of the working class plummet. A defeat occurs only when it might become impossible for Michael to publicly dispense his pseudo-dialectical platitudes at one of his favorite Athenian cafes." To state the obvious, this is nothing more than character assassination. What I find breathtaking however is the chutzpah of North, who himself happens to live a comfortable middle class life style. And yet he impugns the motives of Savas, a man who has devoted over 50 years of struggle, working under some very adverse conditions, including the dictatorship of 1967-1974 and death threats from the Golden Dawn fascists, to build a revolutionary movement in Greece. What has North done in this period? Aside from running his website, North has led another life as the CEO of a very profitable middle-sized business. In that capacity it's a fair guess that he attends business lunches at establishments a good deal swankier than Athenian cafes. And then there are events organized by this company, including an annual one on “sustainability” in which Michigan business executives are provided a platform to flaunt their 'green' credentials. Given North's penchant for coining terms like 'pseudo-left', one might consider labeling him a 'Chamber of Commerce Marxist'. How can that be? Savas broke with North's party in 1985, as the statement goes on to say, which means that in the intervening thirty years – THIRTY YEARS! - North has been able to build ABSOLUTELY NOTHING in Greece. 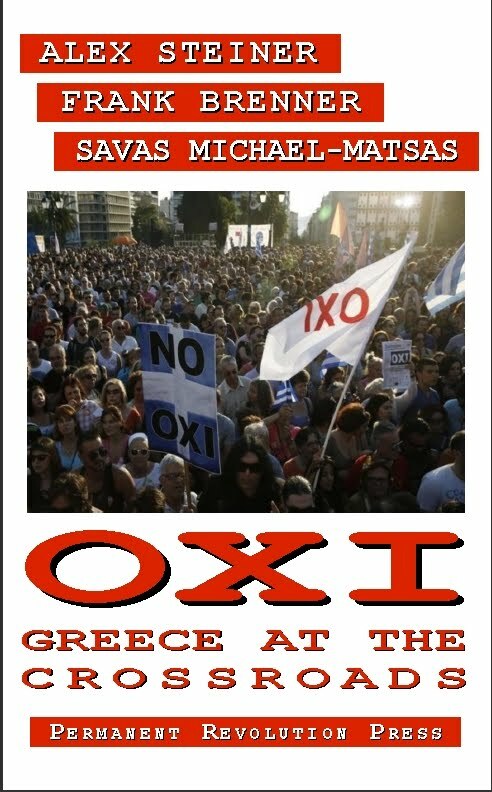 Even assuming that Savas is every bit the scoundrel North makes him out to be, North has had a very, very long time to expose him and every other “pseudo-left” in Greece. How is it that this never happened? Could at least some of the “political responsibility” for this situation lie with North himself? It becomes obvious now why North has such contempt for Savas. His abusive language serves to cover over his own political sterility and to prevent his followers from asking uncomfortable questions. In winding this up let me say something about the underlying differences between us and North. Once you get past all his demagogy and insults, the real issue in dispute is that North is an opponent of the method embodied in the Transitional Program. North thinks that being a revolutionary means that you do nothing other than denounce Syriza and “predict” their inevitable betrayal. Eventually the working class will reward his movement when those predictions have been “confirmed”. This approach is typical of sectarians who believe above all in the power of propaganda. The fact that this approach has achieved very little in 40 years (and exactly nothing in Greece) does not faze North one bit. On the other hand we think that a revolutionary movement must actively involve itself in the struggles of the working class. In the Greek context that meant campaigning for a NO vote in the referendum of July 2015 while patiently explaining that Tsipras had no strategy for confronting the EU in the event of a victory of the NO vote. It meant coupling the fight for a NO vote in the referendum with a set of transitional demands to be carried out as the only way to implement the desire of the masses to reject austerity. This approach is far more in keeping with the history and traditions of Trotskyism than proclaiming (as the WSWS did) that the referendum was a “reactionary fraud”. A much earlier piece from the WSWS, http://www.wsws.org/en/articles/2009/01/haig-j06.html, characterizes me as being “hysterical” and “exploding” in a “burst of anger”. For our response see, Of Sterile Flowers, Poisonous Weeds and a Political Smokescreen, http://forum.permanent-revolution.org/2009/01/of-sterile-flowers-poisonous-weeds-and.html. We discussed the political motives behind all these attacks on my character more fully in Downward Spiral, http://forum.permanent-revolution.org/2009/11/downward-spiral-of-internatioanl.html See especially Chapter 1. How many filthy drops of water does it take to take away the desire to drink water? Probably, one is enough. Meanwhile, how many drops does it take to restore the polluted water into mere water, let alone drinkable water? Surely, merely many would not be sufficient. Maybe, a great many? If I were not to be held responsible for the pollution, why on earth should I bother? Now, the routinized events of David North distorting Alex Steiner brings me into a sort of mind numbness. Sometimes I became embarrassed or other times I felt insulted, but this is not the case now. I'm just pathetic toward North and those who blindly follow(obey?) him. How dare one play words like "pseudo-lefts" on their lips? Doesn't it mean that they alone are authentically and permanently good? Do they want to play "hero movies"? Did Steiner give full support to Syriza? What in the world did I read? Did I have no basic understanding whatsoever? Finally, I came to the issue of North's identity. The issue was sometimes raised relatively indirectly, but this time Steiner seems to me to determinedly mention it, given the phrase like "the CEO of a very profitable middle-sized business." Who do his followers think he is? Is he equal to who he is thought to be? Since you have little regard for North's theoretical work, why do you engage him? Do you think SEP's cadres have a high level of consciousness despite their leadership? I don't understand why (from your standpoint) the critique of SEP is important. We respond to slanders, character assassination and misrepresentations of our position. I do not think very highly of the level of understanding of SEP cadre and their true believer sympathizers but I write not for them but for others who may benefit. The SEP is politically insignificant but the WSWS does have many readers if only because no other socialist organization provides what is in effect a daily online newspaper. I see from your profile that you have an interest in philosophy and computer science. Why not comment on the piece we posted, Your Brain is not a Computer? Last I heard about Wohlforth is that he became a writer of mystery novels. I think there's a more fundamental problem with SEP. Is a "socialist" tendency that subsists from a non-union commercial printing operation even part of the working-class movement? Does SEP's position that unions are capitalist institutions just a shallow reflection of its class nature? Is David North a millionaire - or is SEP? Their secrecy about their funding has a long history. Once it was Arab reactionaries; now its own capitalist exploitation. You write: It becomes obvious now why North has such contempt for Savas. His abusive language serves to cover over his own political sterility and to prevent his followers from asking uncomfortable questions. As a former SEP member, I am making a political account of my time in the party, which I left in 2016. Certain occasions stand out, of course. One such is the Summer School of 2015, at which a quote from Savas Michael was read - I am working from memory, so will paraphrase: "You have a correct analysis, but where is your mass movement?" North read this out, presenting it as a punchline. There was, indeed, much laughter. For me this was a conscious turning point: What, I though, of the mass movement? Where, indeed, is it? The tenor of the gathering did not promote such a question. It was taken as a given that Savas Michael was Wrong for even asking such a thing - yet we were constantly exhorted to "grow the party". So. With a correct analysis, why was this not happening? Sure, there were some new members, mostly young people who came into contact with the party after the "turn to the universities", but precious few workers, despite extensive coverage of strikes. We were also losing members - some through death, others through disagreement (and expulsion), others through just drifting away - as will happen when communication is almost nonexistent. I returned from that School very troubled. There had been irregularities in conducting of party business prior which had bothered me, and I had a growing sense of something being wrong, which I could not at the time put my finger on. Watching the branch meetings after this gathering - in which repeated "I did not have time to get hold of Worker X" was involved in the "contacts" part of the meeting, and my own attempts at getting approval for contacting a provisional member were fruitless for months (and she, a worker, eventually just said, "No, I don't have time for this" when I did get approval) answered Savas Michael's question: The mass movement was neglected. Meanwhile, victory in intervention in strikes continues to be the cry from the WSWS. Yet, as I have remarked before, concessions contracts are still the order of the day. "Victory" seems to mean "I passed out the required number of pamphlets and got an interview with a worker for the site." But there is no follow-through. The membership is not growing in that direction. What the WSWS/SEP thinks of the working class can be seen in the decision to run Niles Niemuth, aged 28 at the time, for VP in the 2016 election. In former years, the party ran as a means of raising consciousness among the working class. I had run as a candidate for state senate in 2006, which was a very contentious year, indeed. The battles launched for ballot access in Illinois were ferocious; having met all the qualifications, the candidate was faced with Democratic Party blockade to such an extent that the judge threatened the DP with charges related to filing frivolous lawsuits. This whole episode provided excellent examples of how broken the bourgeois electoral system is. But with Niemuth, at 28, there is the automatic out for the electoral boards that he does not even meet the basic age requirements for that position. Yet the working class were exhorted to give time and money to support this doomed campaign. When questioned as to why this tactic was being pursued, no serious answers were given, and the "trolls" at the comments section at the WSWS were set loose an any who dared ask. What they think of the working class is that we're a bunch of suckers, apparently. You do not build a mass movement by asking the working class to engage in doomed campaigns. Nor by making such appeals to (bourgeois) "due process" at the expense of the victims of abuse, as the WSWS writers have been doing regarding their anti-metoo campaign. Nor does it happen through pushing aside the current tragedy and emergency of the removal of children under the current administration by engaging in "whataboutism" regarding the policies of past administrations. While you cannot ignore historical precedence, you also cannot ignore the current situations and developments. To literally laugh off the question of "where is your mass movement?" is to abandon the field entirely. 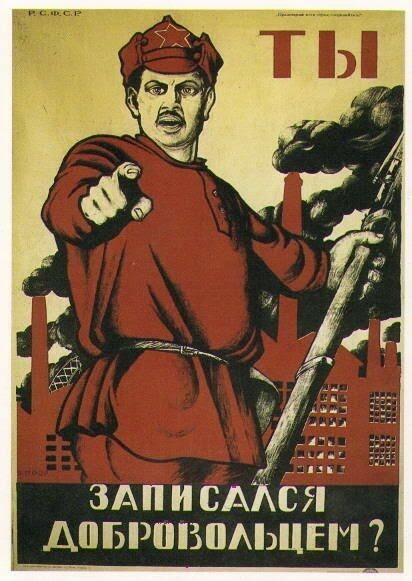 It is to betray the working class.